Four years ago, I had an idea. I've had a LOT of ideas. Some were awesome - some... not! But I really believed THIS idea was something special. After a lot of brick walls and detours, this year I decided that I wanted to launch this idea on Steemit. Why? Because I love Steemit. I love the community here, I love the support here - and I believe that this place can be INCREDIBLE. On Saturday, I asked if I could be on @aggroed's show about dapps - IF there were a few minutes left at the end. He had never heard of me, never heard of my idea - but still graciously said, "Sure!" I waited for my turn, but so many people came on to share their awesome projects - time was slipping away. I worried that I wouldn't be able to do it justice with the few minutes left! I tried my best, but in the end I was 30 seconds too long! The best part of my presentation was cut off because the other radio show had been given the mic! Oh, I was so disappointed! But, I tried - right? WE TALKED FOR 75 MINUTES!!! And just when I thought it couldn't get any better... Could it GET any better???? YES!!!!! I had applied for a 5000 SP delegation, and though I thought I had offered a great price, no one fulfilled the lease delegation. The request was returned to me, so now I had to apply all over again! @aggroed asked me what my next step was. I am still beaming with joy and appreciation from your support! Thank you so much for all your attention and interest and for having faith in this idea enough to delegate your power to it! I'm so looking forward to coming back to your show to follow-up, and I'm hoping that we will have TONS of data and updates to impress you!!! Spunkee Monkee images created by the amazing @jimramones. Only use Spunkee Monkee images with permission. thank you so much @aggroed. This is amazing. I also managed to talk your steemmonsters partner into donating 20 packs of steemmonsters cards for prizes for spunkeemonkee. awwwwwwww this feels amazing. I can't wait to start making kids' eyes light up hehehehe love it!!!! SO SO SO Happy for YOU and all the people / kids that will benefit from YOU!! Oh my goodness - i really think this will end up being something super special! I am so happy to get to do WHAT I ENJOY!!! doesn't feel like work- just feels like joy!! It definitely happened and you did a great job while talking about the show. The project is so unique with it being family oriented and a great way to bring young people on board. Very creative @dreemsteem. Come and join us for some great fun! so PROUD of you, and your amazing idea! Well done, Dreemsteem, well done! Congratulations! Hope you manage to launch this dream game of yours! It was more than a few months I think! Quite some time ago, but I'm happy that you are able to put it into action! Will you be running it like this, or will you be moving to a dedicated front end, so that the Steem part is hidden behind a 'normal' website/app? This is just the alpha testing so we can work out any issues and mistakes now! Im super excited about this!!!! It's been fun to interact with the kids and challenge them gently! I really am hoping for but things with this project. I want to see this actually impact kids in a way that a "favorite teacher" is remembered all their lives! Great to hear! I'll be curious when the front ends launch... at the moment, I'm not sure that I could get the older one to type up a post each day, time is short enough as it is! but.... maybe when the time is right - she can join! and if not - we will still love her from afar! hehehehehe i'm so excited!!!! :) i think a lot of adults are wishing that they want to be kids! Very, very cool. I can't wait to see where this goes! I knew, you'll blow off heads with this!!! So proud of you! Love you! Here for you, whenever you need me! Hugs and kisses, dearest friend! Oh my gosh!!! I am so happy for you!!! I know you have great ideas and you make lots of things happen!!! LOOOVVVVEEE it!!!! Can you hear me screaming in joy all the way over there?!! Hahaha! Oh, wow, wow, wow is all I can muster! The floodgates did open! And flow they must. Succeed you will. Mmmmm. twinnie?!?!?!?!? what in the world - right???? oh my gosh! i can totally hear you screaming. and laughing about that poor cow. shhhhhhhhhhh. we don't speak of the cow LOLOLOLOL i love you!!!!!! Lol!!!! Yes I remember vividly. Great manifesting love! It can only get better and better. Someone I know thinks you and I should see a shrink about it. The idea made me laugh even harder, we would probably have the shrink rolling over in tears!! Hahahaha!! Back to SM - I'm excited for next year! Hahahahhahahahaa it was so heavy to drag!!!!!!! I'm in a conference and trying to hard not to laugh!!!!!! And of course keeping a straight face at the conference. Lol!!! The most amazing news ever! I am so happy for you, Dreem!!! And being in that room when this news was given was like no other - over the top! It's a great idea and you took that idea and believed in it enough to put it out there. 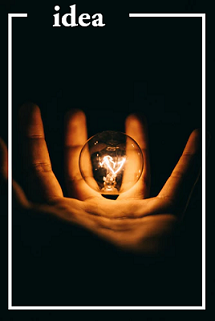 For that, others believed in you and your idea, too. For all the right reasons! I am just tickled - not only for you but for the kids and all those participating in this amazing project. oh my gosh i'm SO glad that you and your hubby witnessed it!!!!!!!!!!! IT JUST MADE IT THAT MUCH MORE EXCITING FOR ME TO KNOW THAT WE WERE ALL JUMPING UP AND DOWN!!!! So happy for you dreemie! I knew this was going to be a huge success!! I never have doubted on you!! So proud to be a monkee!!! Congratulations to you big sister!!! Thank you @aggroed you are amazing thank you for listening and supporting this project!!! Tgis is just the beginning I can’t wait to see it grow more!!!!!!!!! @dreemsteem congrats on the success! Very cool and happy to see everything growing and gaining momentum!! Thanks for sharing!! Overjoyed for you Dreemie! And all those kids you're going to be impacting. They are going to love you, Spunkee Munkee and all their new found habits. This was a great way to wake on a Monday morning! This Spunkee Monkee Treasure hunt is a way to make it fun for parents to help kids learn and apply good habits and healthy mindsets! 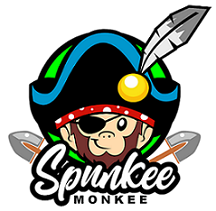 As the children start to complete tasks in their lives to contribute to good health, clean environment, learning talents, having hearts of service, and learning about future careers - they earn points in their Spunkee Monkee account. When they've earned enough points, they get to trade those points in for digging up potential treasure on the Treasure Map! After choosing coordinates on the map with the help of their parents, they can check to see if they've won a prize! Sound fun? This is such a wonderful thing! I love, absolutely love this community. I can't wait to get GrandGeorge the First involved. How exciting!! I'm so happy for you that your idea has come to life!! So fun to watch every bit of it unfold! I'm glad you feel the same!!!! He always thought that should be a movie too. I love it too and that sounds fun... thanks for being you my sweet sista!!! This is just karma lady!!! All the good you do for us!! Now all you gotta do is play that flute lady!! @aggroed no one deserves tjis more than dreemy, she helps so many peeps out im so happy there's a big fish that helped make her amazing project get that much needed exposure!! Cannot wait for you and me and @andysantics to sit back and relax and just hug and laugh. It's such a long time coming. And I've missed our m3gatime. And I seriously can't wait. Loving you both with the fullness of my heart!!! Good things come if you keep moving toward them! High honors and thankful for the spotlight on this project that I'm so passionate about!!! You are soooo blessed that there are many great steemian out there ready to support your crazy dreems! You did it!! I am one proud Mom Monkee here! 😍😍.. its not easy to raise monkees you know! Hahaha its sooooo much hardwork and fun of course.. but i never thought i would be able to log it like this.. only ate @dreemsteem can leap to making higher dreems! Thank you sooooooo kuch @aggroed for believing in the littlw monkees! Hope you will get to enjoy their little blogs everyday. Dont be bored okay! Hehe..
hahahahaha how can he be bored??? I giggle at their videos and posts and i LOVE seeing into their little minds and dreeeeeeems and I'm so thankful that I get to be a part of it!!! Hahahaha well you are different sissy! You are never bored at all.. your enthusiasm and energy are all back like it was before the HF20.. and i like it!!! Yesssssss! I believe and have faith in our little monkees.. and yeah i kept laughing at them too. There are soooooo many things going on under those little brains they have. I love their innocence and simplicity. We get to learn new perspective because of them. As for the money, my little monkee is not so conscious about it. He knows that money had to be earned just like toys. But little by little he knows the value of money and what it can do. We are both enjoying this little project od yours. We are glad to be part of it too..